Calling your local locksmith can assure you of an easy time getting over the problem. Your local locksmith will always be there for you, providing you with efficient customer service that you know and are satisfied with. A local locksmith is working in a defined area that is designed for his capability of distance and production. LockTech24/7 is a local family owned locksmith company that is serving Allentown, Bethlehem, and Easton PA for many years. We are driving to your location in our fully equipped mobile locksmith shop wherever you need us and when you need us most. We are local to the Lehigh Valley, but serving also the surrounding area all the way up to Lehighton in the North, and Quakertown PA, in the South. You can count on us to make your auto key in the field, or to service remote locations that other locksmiths won’t come out. We not recommend to try and repair a lock by yourself, you shouldn’t take risk at your security. LockTech24/7 offers full emergency locksmith and non-emergency locksmith services. We specialize in residential locksmith, commercial locksmith, and automotive locksmith services. Our skilled locksmiths can help you out re-keying, repairing, and replacing locks in your home or your business. Dealing with a local locksmith company can save you lots of headache in the long run. You can program our 24/7 on call number (484) 547-7345 or 24/7 toll free number (844) 240-0081. With this intention, you can save your time in the future when you call us for emergency locksmith service. In short, we want to keep business with our local community for a long time. A long-term relationship is better than a one night stand. Among our professional locksmith services you can find the full suite of lock out services. As well as car keys and ignition lock service, lock repair, re-keying, and replacement. We also cover security applications and security systems. A local locksmith can provide fast service. A local locksmith is always in the area, unless he’s on vacation. We’re always available close-by to you, sometimes around the corner. Local Locksmiths know the area. When you’re local to the area and you know the back roads and shortcuts, you can move easily from place to place. You can redeem your guarantee easily. When there is a problem afterwords, when the job is done, we can always get back fast to check the problem. We won’t charge you again if we need to replace the lock again. Low and affordable prices. When you know your local locksmith, he wants to keep business with you. That means if you call us a second time in the day to unlock your door, we will work with you. A local company don’t focus on your money, but your favor. We are ready to assist you at any time, day or night. Please call us for emergency locksmith service or email us for reschedule locksmith project. Please support your local locksmith. I was locked out of my car and need a local locksmith. 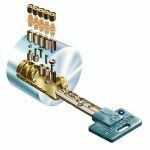 It’s been a long time until I found a reliable locksmith company. I came across your website, so I checked it and I was very impressed with your content. I saved your phone number in case I need your service in the future. Thank you. I read several of your articles, interesting. I see you write nice content. It looks like you’re a professional locksmith who knows his work.